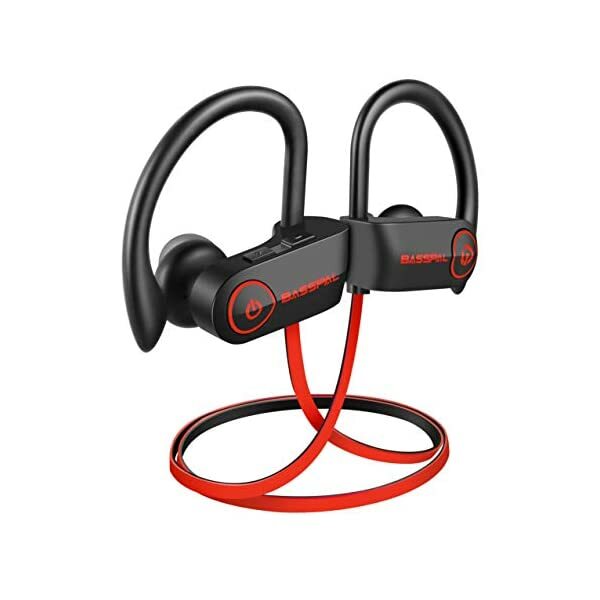 ✅ [IPX7 WATERPROOF EARPHONES]: IPX7 water-resistant nano-coating efficiently protect sports Bluetooth headphones from weat, rain and water, so you can enjoy music while running, jogging, hiking, cycling, yoga, travelling, gym exercises and other outdoor sports. ✅ [HIGH-DEFINITION SOUND]:This Bluetooth earphones featuring latest Bluetooth 4.1 CSR with CVC 6.0 noise reduction technology and state of the art acoustic components that produce incredible sound quality with rock-solid bass and crystal clear treble. 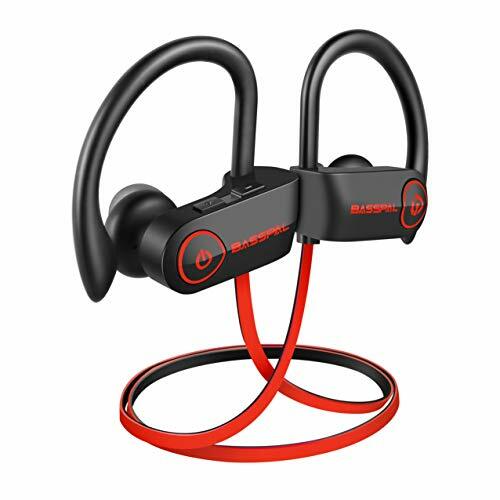 ✅ [ENHANCED COMFORT & WEARABILITY]: Bluetooth earbuds ergonomic design and flexible ear hooks are secure behind your ears and rest comfortably in the ear canal, worry-free falling out or hurting your ear. Super soft smooth silicone gel surface helps sweat proof.